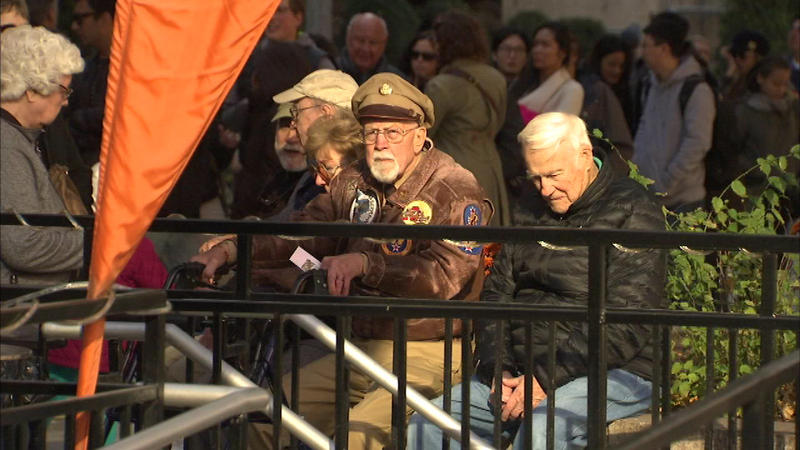 CHICAGO (WLS) -- Three World War II veterans and their families were the guests of honor on an architecture cruise along the Chicago River. The men, aged 91 to 95, served as a B-25 bomber pilot, a gunner navigator and a decorated sergeant. Cruise line Chicago's First Lady Cruises sponsored Sunday's fall boat tour. Officials say they wanted to honor these three American heroes.